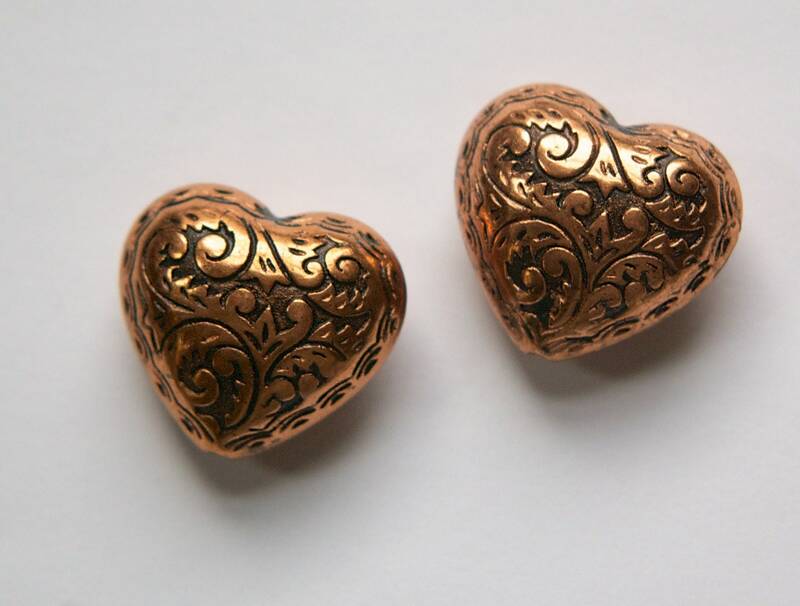 These are copper coated acrylic puffy heart beads. 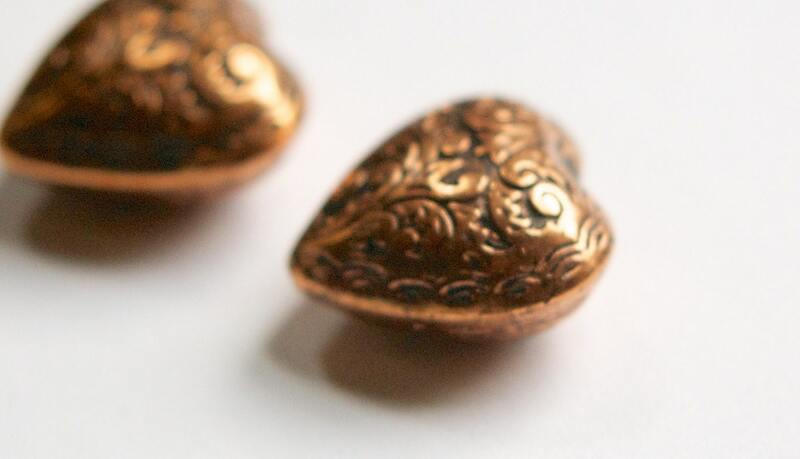 They are done in an antiqued copper with black accenting the etched details of the design. The amount of black varies from bead to bead. These measure 23mm high x 25mm wide. You will receive 4 pieces. These are more copper colored in person than the picture shows. Love the hearts. Thanks for quick delivery.